Provocative and reflective, this volume on the notion of knowledge and innovation in the business industry provides readers with a holistic approach to the subject of ‘knowledge’. 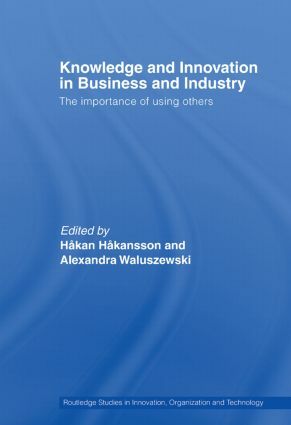 Structuring their arguments around four case studies of innovation within four entirely different contexts, Håkansson and Waluszewski invite the business-minded reader to consider the costs of adopting new knowledge and innovation within a business setting. focuses in particular on the interfaces where the innovative agent connects to its customers, suppliers and competitors. An ideal reference source for postgraduate students taking advanced courses in science and technology studies, innovation management, industrial marketing and purchasing, technological development and innovation systems.